Luck is an important part of life. You can be born to a rich family. You can miss a traffic accident by a couple inches. You can get hit by a meteor. But one area that you don’t want to leave up to luck is your career. 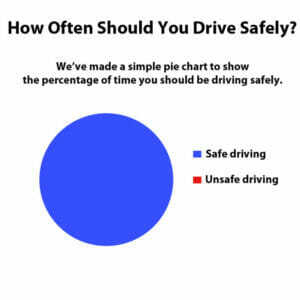 And this is especially true for truck driving. Leave the “Luck of the Irish” for St. Patrick’s Day. In this article, we’ll give you four tips – one for each leaf on the clover – that help you prepare for a successful career. Tip One – Know Yourself. When choosing a career, you don’t want to jump in headfirst without knowing yourself and your own needs. It usually takes a specific personality to be successful at a specific job. Long-haul truck driving, for example, is a particularly unique career. Long-haul, or “over-the-road”, truckers spend weeks on the road away from home. They travel the entire United States with only their truck and a few belongings. Many drivers appreciate this level of freedom. They don’t want to be in an office 9-to-5 with a boss over their shoulder. They love to travel. Other people don’t want anything to do with this lifestyle. They prefer to get home every night and see their family. 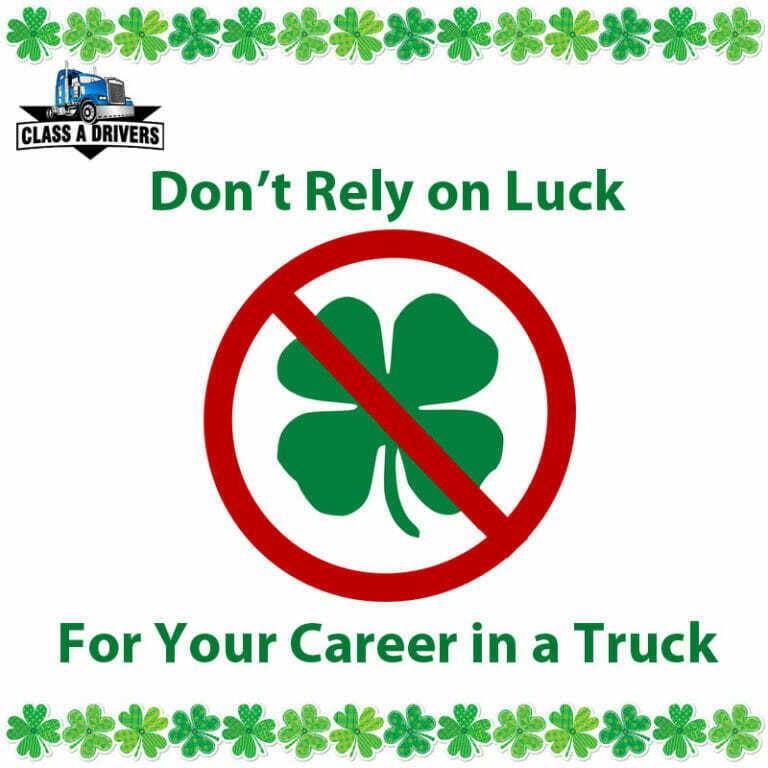 A sizable amount of people sign up for truck driving and then leave within 6 months when they find out what the lifestyle is like. That’s a waste of time for everyone. When looking at any career, always ask yourself the important question: Will I Be Successful? Get contract promises in writing. Tip Two – Get It in Writing. With any job, you’ll go through an interview or screening process. The company will interview you, and you’ll interview your employer. For truck drivers, this is done through recruiters. These company recruiters are there to tell truck drivers about the job. But these recruiters still work for trucking companies. Their job is to get you hired onboard. You might make demands (like how much home time you want), and they might make promises (like a set salary). 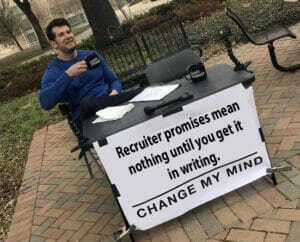 But if you don’t get it in writing, those promises are easily broken. Don’t rely on luck to save you. This goes for any job. There’s no company too big or too small to screw you over. Tip Three – Be Safe. No job is worth your health and safety. In fact, more and more Americans now see health as a basic right. Some careers are more dangerous than others, of course. Construction workers, police officers, fire fighters, and truck drivers are among the more dangerous professions. To stay healthy and successful, always be safe. For truck drivers, this means that you shouldn’t rush to make a delivery. If you’re running out of your regulated hours on the road, then pull into a safe truck stop and park for the night. Don’t speed or stay awake if you’re exhausted. Luck won’t always save you from a dangerous parking spot, a police officer, or a potential crash. Create the conditions for safety. Follow this easy graph for a safe workplace. Tip 4 – Plan Ahead for Your Career. Where do you want to be in 6 months? A year? 4 years? If you enter a career without a plan, then only luck determines where you will go. Instead, make a plan ahead of time. Learn the average salary of your new career. Research the companies you might want to work for immediately and in the future. Find out what areas exist for advancement. For example, a truck driver might decide that they want to run long-haul routes for 4 years in order to pay off debts and then leave the industry. Other drivers may decide to become an owner-operator with their own truck and their business. Ultimately, a plan is the best way to succeed in your career. True luck is when opportunity meets preparation. If you prepare, then you will be ready when the opportunity comes. Let us know on Facebook and Twitter what your career tips are. What have you left up to luck? How has it worked out for you?